In 2015 San Gwann evacuated the Italian Embassy from Tripoli, Libya to Augusta in Sicily. 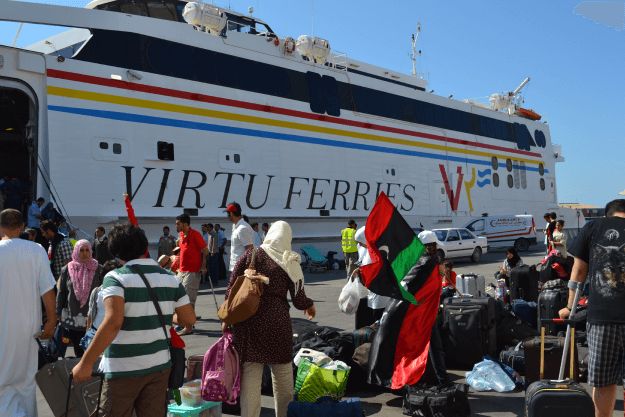 During the height of the Libya crisis, between February and August 2011, Virtu Ferries vessels Maria Dolores, San Gwann and San Pawl evacuated thousands of expatriates of various nationalities as well as Libyans, many of whom suffered horrendous war injuries and ferried them to Malta and Tunisia for life saving medical treatment. 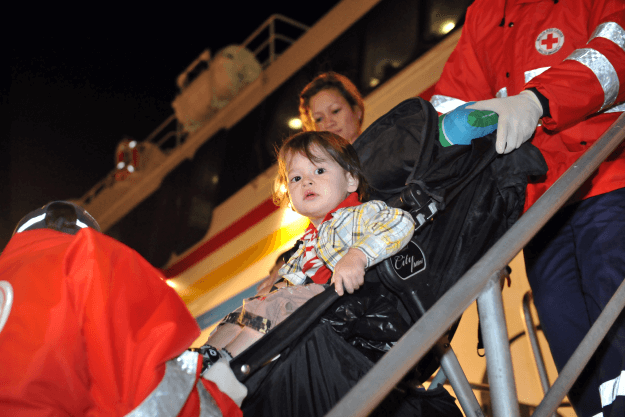 These voyages were undertaken on behalf of the Governments of Malta and United States of America, The International Red Cross, Medecins Sans Frontieres and Libya Relief Agency as well as international corporations such as Hyundai, Daewoo, WesternGeco and Odebrecht. During the height of the Lebanese Civil War the only ferry operating out of the Christian enclave of Beirut was Virtu’s SES Santa Maria. Virtu Ferries were back in Beirut in June 2006 as the peak of the Second Lebanese War reached its peak. San Gwann was chartered by the Government of Australia to evacuate Australian nationals from Beirut to Larnaca.